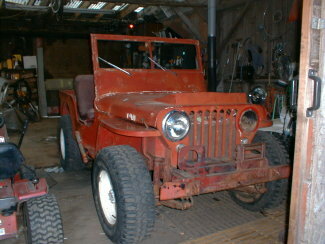 This is Rod Ostrum's 1946 CJ2A # 41540. 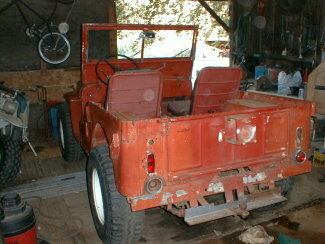 He says: "It has lots of rust but I am not going to replace the tub.It has a 161 CID 6 cyl. kaiser supersonic engine. (1950or1951) I am going to keep it as original as I can but the engineis going to stay for now. "